Born: 28 May 1874, Antigua, West Indies. Died: 12 December 1959, Pretoria, South Africa. William Maxwell Edwards, surveyor, was the son of Dr W.H. Edwards and came to South Africa as an infant in 1875. In later years he became a South African citizen. After passing the matriculation examination in 1891 he obtained the Certificate of Proficiency in the Theory of Land Surveying through the University of the Cape of Good Hope in 1892. He was subsequently admitted as a government land surveyor in the Cape Colony (March 1893), Natal (August 1894), Rhodesia (now Zimbabwe) in May 1895, and the South African Republic (Transvaal) in January 1903. During the eighteen-nineties he spent at least some time in Natal and served in the Matabele rebellion, Zimbabwe, in 1896. In October 1900 he married Gertrude Mildred Emmet in Ceres, Cape Colony. They had three daughters. In January 1903 Edwards was appointed as examiner of diagrams in the office of the surveyor-general of the Transvaal Colony, Pretoria. He became a member of the Institute of Land Surveyors of the Transvaal soon after its formation. After the creation of the Union of South Africa in 1910 he was appointed in April 1912 as professional assistant and second in command in the office of the surveyor-general of the Transvaal, Pretoria. During the next 17 years he acted as surveyor-general several times during the absence of H.E. Schoch*, and in 1929 succeeded the latter as surveyor-general of the Transvaal. He retained this post to his retirement in May 1934. Edwards published a paper on "Relations of beacon and deed-plan in South Africa" in the Empire Survey Review (July 1932, Vol. 1(5), pp. 203-206). He was chairman of the Survey Board until his retirement. In 1934 he created a mapping section in his office which acted, at least to some extent, as a central mapping office for all the provinces and government departments, until it was transferred to the office of the director of the Trigonometrical Survey in 1936. Google scholar. http://scholar.google.co.za/ Publications by WM Edwards. Journal of the Institute of Land Surveyors of the Transvaal, 1905, Vol. 1(1), pp. 24-27 and 1909, Vol. 1(8), pp. 338-341: Lists of members. National Archives Repository (TAB), Source MHG, Vol. 0, Ref. 8664/59: Death notice, last will and testament, William Maxwell Edwards. 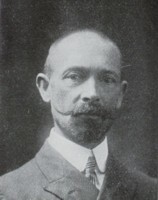 National Automated Archival Information Retrieval System (NAAIRS), at http://www.national.archives.gov.za/naairs.htm Documents relating to William Maxwell Edwards / W. Maxwell Edwards / Mr Maxwell Edwards / W.M. Edwards. South African Survey Journal, June 1934, Vol. 4(6), p. 211: Notes and comments.